Can Latin America Provide a New Model for Success? Latin America as a region presents its own unique set of opportunities and challenges for mobile money and digital finance deployments. Although there is, of course, considerable diversity in the markets that run from the United States’ southern border to Tierra del Fuego, collectively they also present very different levels of financial exclusion, physical and digital payments infrastructure and governmental capacity that differentiate Latin America from other potentially fertile mobile money markets such as Africa. Latin America, as a whole, has a much more urbanized populace than Africa. Consequently, the crucial on-ramp of P2P payments that has been the backbone of consumer usage of mobile money in Africa accounts for a smaller proportion of transactions than in Africa. More than one in four mobile subscribers in Latin America is on a contract, compared to less than five percent in Africa. This fact, combined with the more prominent role in mobile money played by banks in the region, has meant that mobile airtime top-ups, which account for two thirds of all transactions in Africa (excluding cash-in and cash-out), make up only half in Latin America and the Caribbean (LAC). The most pronounced difference in usage patterns, however, is reflected in the relative popularity of using mobile money to pay bills or remit bulk disbursements, such as salaries or government social transfers. Bulk disbursements are almost non-existent in Africa (1%), while accounting for 14% of transactions in Latin America. More than one in ten transactions in Latin America are bill payments, whereas they make up a mere 3% in Africa. In addition to, or partly as a consequence of, a more highly urbanized population, Latin America also has, overall, significantly higher levels of financial inclusion than Africa, ranging from 20% in Haiti, to almost two thirds in Brazil and Costa Rica. Naturally, in response to differing market conditions, regulatory frameworks in the region have evolved at different speeds in response to local needs. And while the region as a whole has perhaps lagged behind African and other jurisdictions in creating an enabling regulatory environment for mobile money, the pace has picked up significantly over the past three years. According to a report published recently by the GSMA, the number of countries with enabling mobile money regulations has grown from just two in 2012, to six in 2015, with Brazil, Guyana, Paraguay and Bolivia joining the ranks already occupied by Peru and Nicaragua. Even in these markets, however, in which enabling regulatory environments have been established, banks still dominate the ecosystem. However, some banks, most notably Davivienda in Colombia (about which Mondato Insight wrote earlier this year), have themselves been embracing the possibilities offered by the mobile channel, with the result that Davivienda’s Daviplata has one of the highest active user bases of any mobile wallet. As Mondato Insight noted at the time, G2P disbursements are a major driving factor behind Daviplata’s success as a wallet, though the phenomenon of “dump and pull” remains a problem. 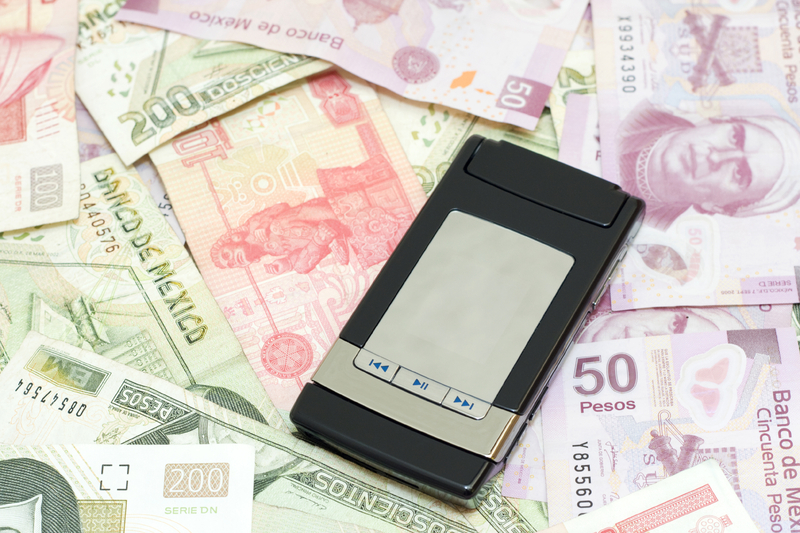 Colombia has also ploughed its own furrow when devising the legal framework for its mobile money infrastructure. Perhaps uniquely, Colombia permits the issuance of e-money by non-banks, but it is considered to be a deposit (something that in most other jurisdictions is considered to be part of the business of banking and reserved for prudentially supervised licensed banks). Perhaps surprisingly, it is in the home country of América Móvil (and Latin America’s richest man and América Móvil founder Carlos Slim), Mexico, where regulations tilt most heavily towards the banking sector: only banks (or special ‘payments bank’ with relatively high capital requirements when compared to non-bank e-money issuers in other jurisdictions) may issue e-money in Mexico, and it is considered to be a deposit. By way of contrast, most of the other countries in the region have clustered around an intermediary model (also common in many jurisdictions outside of Latin America), whereby licensed non-banks may issue e-money and the funds are not considered deposits. The fundamental problem with bank-led mobile money frameworks is, of course, that they are bank-led. When banks are the gatekeepers to the payment system, it can be difficult for new entrants to gain a foothold. Given their enormous resources, political connections and lobbying might in almost every world capital, banks tend to be well positioned and resourced to defend their turf. And while successful bank-MNO collaborative models have arisen in a number of markets, there have also been a number of examples of them going wrong (M-Kesho, for example); there have also been instances of unwillingness on the part of banks to invest in a product they own but which is largely in the hands of their MNO partners (as in Ghana until recently – see Mondato Insight here for more). As Ghana discovered to its detriment, no matter how well intentioned, attempts to legislate the shape of a new and developing market structure run a high risk of not aligning with market realities. While the need for careful supervision of mobile money deployments is clear, there is enough evidence from other markets to support the contention that mobile money regulation should be proportionate to the risks and nature of the market, and that space should be left for market-led solutions to develop. Now with a total of 37 mobile money deployments across the region and 15 million customers, mobile money in Latin America is well-embedded or growing rapidly, even in countries such as Guatemala, Colombia and Mexico, in which the regulatory environment is not considered enabling by the GSMA. Because of the much more developed retail-banking network in these countries, usage levels lag behind the sprinter markets of East and West Africa. What is striking, however, is that in both LAC and East Africa the volume of merchant payments was the same, at just 2% of transactions. As Mondato Insight noted last summer, enabling user-friendly mobile in-store payments is the key to recycling digital funds within the system. The fact that both lag at a mere 2% in such widely differing regional markets as LAC and East Africa suggests both that the issue is a long way from being solved, and that the problem is a deep and systemic one: simply put, people like buying goods with cash. The more prominent role of banks in the mobile money ecosystem in LAC would appear to account for the increased use of bill payments and the decreased purchase of airtime (proportionally). In neither region, however, does it appear that merchants or their customers have reconciled themselves to the idea of using their phone to send a payment. The reasons are not difficult to discern. The rather clunky nature of USSD and similar mobile wallet menus and operating formats are neither intuitive nor particularly convenient. If Apple is struggling to get consumers in the United States to use Apple Pay when all they have to do is hold their phone against an NFC terminal, what chance is there that consumers in Latin America and Africa who have to press 20 buttons on their phone keypad will decide that doing so is a preferable option to reaching into their pockets and handing over a few banknotes? This all speaks to the relative absence from the mobile money ecosystem of the players who potentially have the power to shift consumer in-store payment: major retailers. But as Starbucks has most notably demonstrated, the right mix of (smartphone app) design and incentives can persuade significant numbers of consumers to break the habit of a lifetime and instead of handing over cash or a credit card, pay using their phone. Even though the total number of stages involved in paying via an in-phone app may be more than paying with cash or a card, customers can be persuaded to adopt and use mobile-originating payment technology if they see the value to them personally. Unfortunately, the stakeholders who actually own the mobile wallets, largely bank and MNOs, are not in a position (or have the incentive) to bring about this change in behavior when it comes to mobile merchant payments. Indeed, it is also questionable whether in Latin America even the large retailers have any incentive to catalyze this change. Latin America’s growing consumer class in recent years has been on a spending spree financed, to a worrying degree, by store cards. These store-branded financial cards are often issued with significantly less stringent checks on the financial health of the customer, and with customers (in Latin America as in much of the world) unaware of the relatively high interest rates attached and of the perils of compound interest. Nevertheless, retailers who were receiving substantial revenue streams from their own financial cards currently have very little incentive to switch customers away from them. The Starbucks example suggests, however, that the rapid growth of smartphones in the region from 30% in 2014 to over 70% by 2020 may present an opportunity for retailers to digitize their financial cards, something that might nudge consumers towards acceptance and adoption of mobile payments more broadly. Latin America’s diversity of markets and regulatory environments, combined with the pan-continental span of major stakeholders such as MNO groups and banks, means the region provides a useful Petri dish in which the development of mobile money deployments and new use cases can be observed. Despite the strong banking sector in Latin America, the regional average for financial inclusion is 60%: four in ten adults are not in the formal financial system. And even where mobile wallets are relatively popular as a means of G2P disbursements, cash is still king. While Africa will most likely continue to grab most of the mobile money headlines in the near future, it may well be that developments in Latin America will prove to be more valuable in terms of learning lessons and developing solutions that may be replicable elsewhere. The pace of these changes is likely to be modest, however. Paper pesos are not going to disappear any time soon. <span style="color:#660033";>© Mondato 2015. Mondato is a boutique management consultancy specializing in strategic, commercial and operational support for the Mobile Finance and Commerce (MFC) industry. With an unparalleled team of dedicated MFC professionals and a global network of industry contacts, Mondato has the depth of experience to provide high-impact, hands-on support for clients across the MFC ecosystem, including service providers, banks, telcos, technology firms, merchants and investors. Our weekly newsletters are the go-to source of news and analysis in the MFC industry.